My mother - Joyce Ann Gill Giard - had a lot of idiosyncrasies. There were phrases she would repeat often. "and what not" meant she could not think how to complete her current thought; "so anyway" meant she was ready to leave; and "You're special" meant that she wanted to say something nice about you but could not think of anything specific. There was her inability to tell a story properly. So many times, she would tell a nonsensical punchline; then remember that she had forgotten an important bit from earlier in the story. And there was her habit of re-telling the same story to us, as if we hadn't heard it a hundred times already - maybe just yesterday. Maybe earlier in the same conversation. We used to make fun of my mother for these idiosyncrasies. We would smile, and roll our eyes, and we would laugh about it later. But I began to rethink this attitude a few years ago. That was when my mother's life was struck with a series of tragedies. It began when my father - Norm Giard - was diagnosed with skin cancer. He recovered, but it cost him his entire nose, which had to be rebuilt. Next came the following events, which happened in rapid succession. My sister Denise (Mom's oldest child) died suddenly at the age of 50. Someone my mother trusted betrayed the family and tried to steal an inheritance left to my sister's daughters. This ordeal lasted nearly a year. My father was diagnosed with Alzheimer’s. He ultimately had to be placed in a nursing home when my mother was unable to care for him. My mother was in an automobile accident. She was in the hospital over 6 months and never fully regained the use of her legs. My father passed away after a long illness. My mother's health deteriorated, leaving her deaf, confined to a wheelchair, and losing her memory. It was her loss of hearing and memory that my mother found most frustrating. Mom was a very social person. She loved people; she loved spending time with her friends; and she loved to start conversations with strangers. I was once driving her around our old neighborhood when she spotted the current owners of our former home. I had not fully stopped the car before she had opened the passenger door to get out and introduce herself. As her memory faded, she found it difficult to recall the names of close friends and how she knew them. She once called me in a panic because she could not remember where she had met my father. When she lost her hearing, she found it nearly impossible to engage the new people she met. 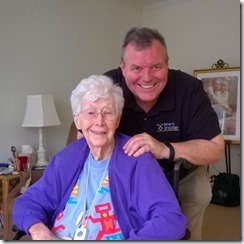 And when she moved into an assisted living facility in Michigan, everyone was new. It was this string of tragedies and the dignity with which my mother faced them that caused me to re-think her and my behavior around her. Her idiosyncrasies became for me unique aspects of her personality, rather than a reason to roll my eyes. I would visit her, and she would tell me "You're special" and I would respond "No. *You're* special!". She would tell me a story I've heard before and I would listen and nod as if I were hearing it for the first time. And I laughed at her jokes. These struggles and these tragedies did not break her. I admire that she maintained a positive attitude and a strong faith throughout all this. She did not blame anyone for her fate. And she remained positive that she would eventually be reunited with her husband and daughter. We still sometimes laugh at my mother's idiosyncrasies; but now we do so with the appreciation that these are the things that set her apart; that made her unique; that made her the woman we loved. 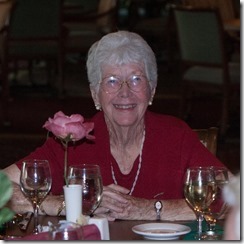 Joyce Ann Gill Giard passed away last week at the age of 84. Yesterday, I returned from her funeral in Florida. If she were here with me right now, I would tell her in no uncertain terms: "You are special!" Today I am grateful for yesterday's celebration of my mother's life. Today I am grateful to make it safely to Florida. Today I am grateful for the support of my family. Today I am grateful for the overwhelming outpouring of love and condolences these past 2 days. Today I am grateful for my mother and all that she did for me during her life. Today I am grateful for a bbq lunch with Tim yesterday. Today I am grateful for a day in Sawyer, MI. Today I am grateful for an afternoon at 1871. Today I am grateful to see J. while he was in town yesterday. Today I am grateful for my camera, which has preserved so many memories over the years. 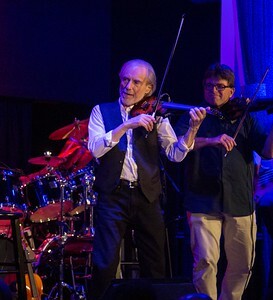 Today I am grateful to see Jean Luc Ponty in concert last night. Today I am grateful to spend Fathers Day with my son. Today I am grateful that I finally got back my lost luggage. Today I am grateful that my son Tim will be staying with me for a couple months. Today I am grateful for my first visit to the Czech Republic. Today I am grateful for a visit to Prague Castle yesterday. Today I am grateful for dinner and a walk around Prague last night with Gael and Britt. Today I am grateful for a brewery tour and beer tasting at Fjäderholmarna yesterday. Today I am grateful to the organizers and volunteers of #devsum for an excellent conference in Stockholm this week. Today I am grateful that my lost luggage finally arrived at my hotel. Today I am grateful that I made it safely to Stockholm, despite many delays along the way. Today I am grateful for an opportunity to teach at Xamarin University yesterday. Today I am grateful for a couple nights in my own bed. Today I am grateful that I have the privilege to travel the world and to come home to recharge. Today I am grateful for a visit to Nashville and my first time speaking at the Music City Code conference. Traveling to Stockholm was an adventure. I was impeded by heavier-than-usual Chicago traffic, lost luggage, delayed flights, and a passport that I stupidly left at home on my kitchen counter. But I made it in time for DevSum 2017 and it was worth the trouble. I was returning to DevSum for the first time since 2015 and the event has moved from the city center to the Münchenbryggeriet conference center - 2 islands to the south. After a long trip, I arrived at the conference feeling anything but refreshed. But the staff made me feel at home. They retrieved a lunch plate for me, despite my arrival after mealtime. And I presented that afternoon on Cognitive Services in front of a full room. I had heard that European audiences tend to be more reserved than their American counterparts, but I did not experience that. The crowd laughed where I hoped they would and remained engaged throughout. I drew energy from them. 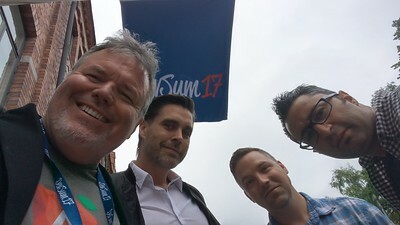 The speaker lineup at DevSum was really impressive this year. Speakers came from all over Europe and North America, including people like Richard Campbell, Michael Feathers, Markus Egger, Kent Alstad, Tess Fernandez-Norlander, Dino Esposito, and Gil Clereen. For me, this was not only an excellent opportunity to learn from smart people, but also a chance to interact with many people whose work I respect - either through their articles, books, podcasts, or Pluralsight courses. The collective knowledge at events like this is always high, but it's even more so when the speaker homes span continents. I was able to meet Michael Feathers and personally tell him the impact his book had on my life when I was a consultant. 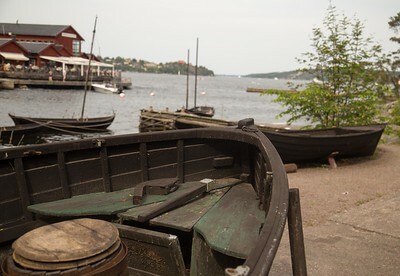 The day after the conference, the speakers were invited to a special outing - a boat trip to nearby Fjäderholmarna, lunch, a tour of a local brewery, a beer tasting, and a walk around the island. It was yet another chance to interact with the other speakers. One difficulty about traveling to Sweden in June is the long daylight hours. The sun does not set in Stockholm until almost 11PM and it rises at around 3AM. This can be disruptive of one's sleep schedule, especially if one is already suffering from jet lag. But I powered through this issue. And now I am home and paying off sleep debt and dreaming of next year's DevSum. In the province of Calderon in the land of Aleron, there are furies. Furies are magical beings with the power to control air, fire, earth, or water. Every person in Aleron can control at least one of these elements and at least one fury. Tavi is an orphan shepherd boy who lacks the basic powers of every other citizen of the realm. But it is Tavi who is thrust into the center of a battle for dominion of the realm. At the same time, warlike Marat are also invading and attacking and the sadistic rival landowner Kord is attempting to crush Bernard's family and enslave those around him. The story builds to a climax as multiple factions clash during a siege that lasts for days. Sometimes, it is difficult to tell who is fighting whom and where alliances lie. Jim Butcher builds a world and weaves an adventure that keeps the story constantly moving forward. He drew me in with his characters and he kept me going with the action. This is the first novel in Butcher's 6-volume Codex Alera series and he does an excellent job of creating a tangible universe. The story stands on its own; but, in the end, not every villain is defeated and not every question is answered. One still wonders about the true identity of Tavi and a few others. I'm looking forward to the sequels. I was in college when I discovered Jean Luc Ponty. My friend Tom had a copy of Enigmatic Ocean and he played it for me and I loved Ponty's style of jazz-rock fusion. Shortly thereafter, I headed to the local used record store to add Enigmatic Ocean, Cosmic Messenger, and Imaginary Voyage to my vinyl collection. I spent many hours replaying these albums and others over the years; but I never had the chance to see Jean Luc in concert. Jean Luc Ponty and his band played 2 sold out shows at Chicago's City Winery Monday and Tuesday night. I was lucky enough to get a ticket to the Monday night show. Ponty is focusing this tour on "The Atlantic Years" - performing the songs he recorded in the 1970s and 1980s - exactly the time that I discovered him. Ponty, now 74 years old, brings the energy of a much younger man to his performance. He played 2 sets and 1 encore over more than 2 hours, drawing music from the 1970s and 80s. As one would expect from a craftsman like Ponty, he surrounded himself with top-notch musicians for this tour: Jamie Glaser on guitar; Wally Minko on keyboards; Baron Browne on bass; and Rayford Griffin on drums. The group was talented and tight and matched Ponty's energy. Jean Luc did not speak much between songs, which allowed him to focus on the music; but it was good to hear he retained his accent from his youth in France. He closed his second set with an amazing version of Enigmatic Ocean, which began slowly and ethereally before building to a rocking frenzy. Local violinist Edgar Gabriel joined the band on stage for an encore to match Ponty's and the band's intensity for one extended song. 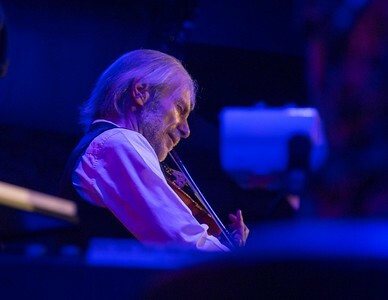 Jean Luc Ponty changed the way we view the violin in jazz music and he continues to turn heads today. I was happy to finally catch his energy in concert. This was my fourth year in a row attending IT Camp in Cluj-Napoca, Romania. 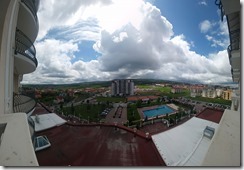 Cluj is a technology hub in the heart of Transylvania. Now in its 7th year, IT Camp attracted over 500 attendees from the region. Speakers traveled from around the world for this conference. I counted speakers from the US, the UK, Germany, Italy, France, Hungary, Poland, the Netherlands, Bulgaria, Switzerland, Cyprus, the Czech Republic, Norway, and (of course) Romania. Over 500 people attended the event – most from Romania. The conference was primarily focused on Microsoft technologies, but not exclusively so. The conference began with a speech by Emil Boc, the Mayor of Cluj-Napoca. This was the only talk delivered in Romanian, so I was not able to follow; but it was well received. Mihail Rottenberg contrasted his experience starting 2 businesses - BreezeCom, a pioneering wi-fi company in the 1990s; and a winery he recently began. Ben Armstrong described how Microsoft's advances in virtualization are influencing their cloud strategy. Jayson Street related stories of security breaches around the world. I delivered 2 presentations: Big Data Solutions in Azure; and Building Powerful Applications with Angular and TypeScript. Over 150 people crowded into my room for the Angular presentation. The day before IT Camp, I spoke at a local consulting company – Yonder – about how to “Own Your Own Career”. As always, the day after IT Camp featured a cultural experience to which all the speakers and volunteers were invited. This year, we toured the salt mines in Turda, Romania. IT Camp was a great chance to connect with a number of influencers from around the world and return to Romania, where I have many fond memories.